Note the center instrument is the wind indicator and it's showing 32.7 knots of true wind speed. 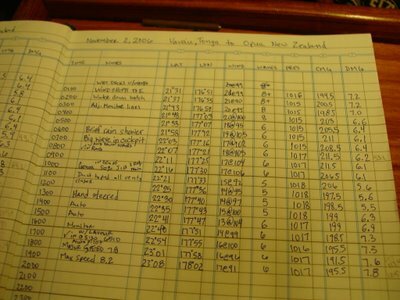 One thousand one hundred and seventeen nautical miles to go to Opua, New Zealand. 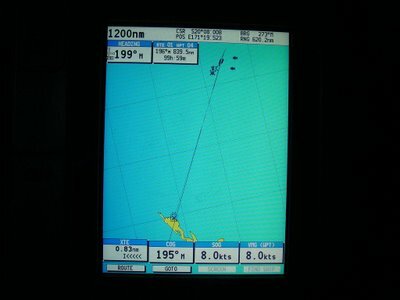 We are about seventy five nautical miles out of Neiafu harbor in the Vava’u island group of Tonga and have what we believe is a nice 9 day weather window to get to New Zealand before the next weather system moves thorough. 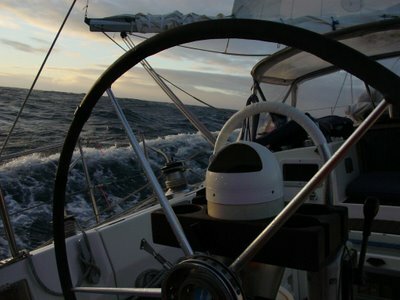 At our current blazing average speed of six point four knots we will be there in seven days and six hours. 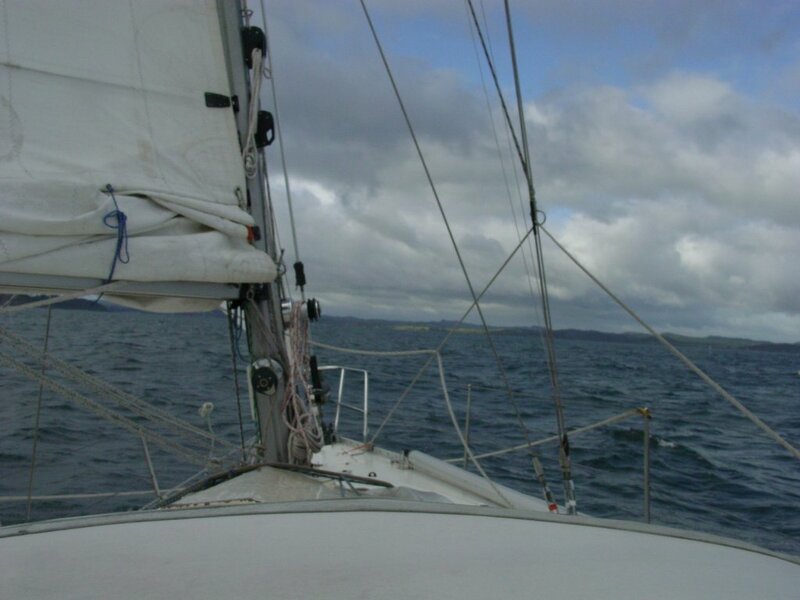 This leaves a day plus cushion if the wind abates or we encounter headwinds that might slow us down. 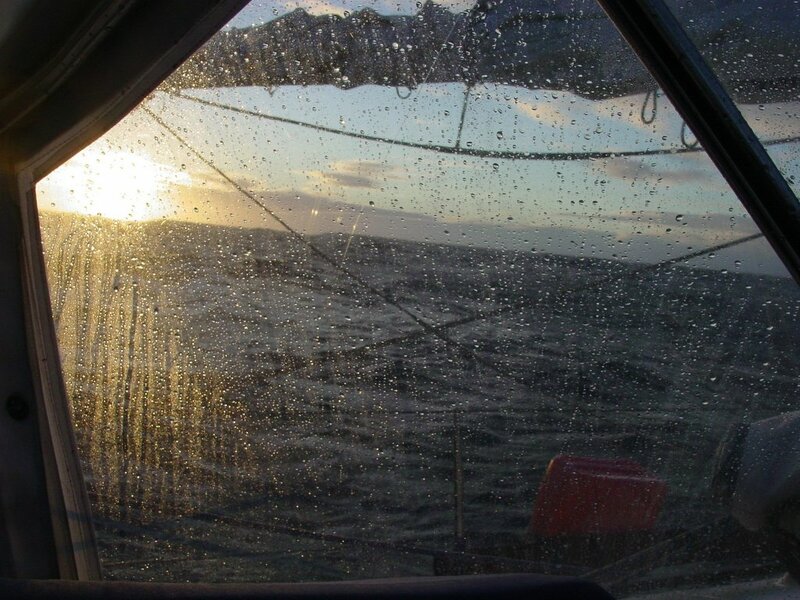 On passages like this I’m glad I have one of the faster cruising boats that can take advantage of good weather windows as some slower boats will take 12 days to make the same passage thereby exposing themselves to greater risks of gales and discomfort. In about 325 nautical miles we have one possible stopping place that will act as our weather safety valve should conditions be predicted to change dramatically. 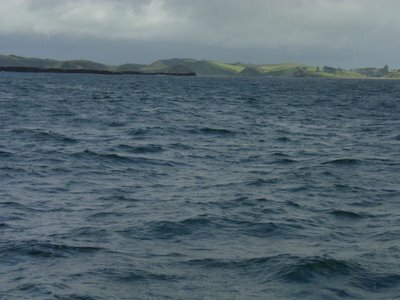 This possible stopover is called Minerva reef and is a coral atoll that is entirely submerged at all but low tide but offers reasonable protection from the seas inside its circular ring of coral. So far we are off to a great start flying a double reefed main sail and our 50% hank on jib with the apparent wind on the beam we’ve averaged six point four two knots in the first eleven hours of the passage and seen boat speeds as high as seven point four knots as we rock and roll in eight foot seas under sunny blue skies. 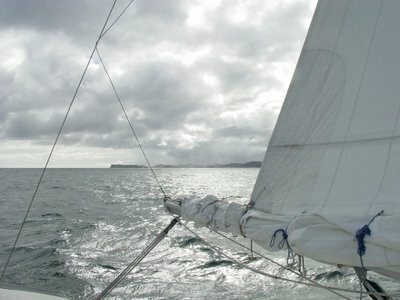 Unlike the beginning of most passages where I feel sick off and on for twenty four hours I’m feeling quite well and spent many hours this afternoon working below on the computer navigation software, GPS waypoints, paper charts and weather forecasts as I fine tune our course. Julie on the other hand spent most of the day hand steering the boat as this is what keeps her feeling the best as she struggles with her normal twenty four hours of “mal de mar”. 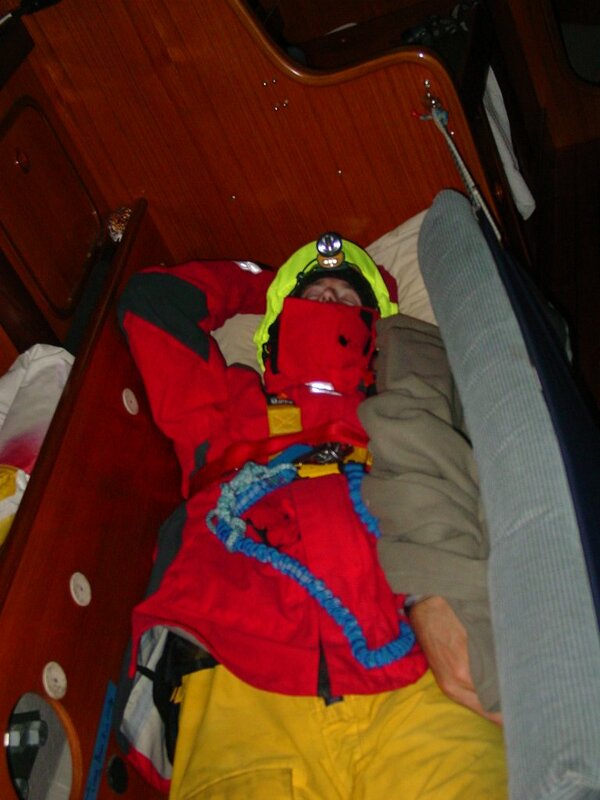 I’m now on my midnight to four watch and “Jimmy” the self-steering windvane is doing a great job of driving and allows me a few minutes at a time to pop into the cabin to compose this email. 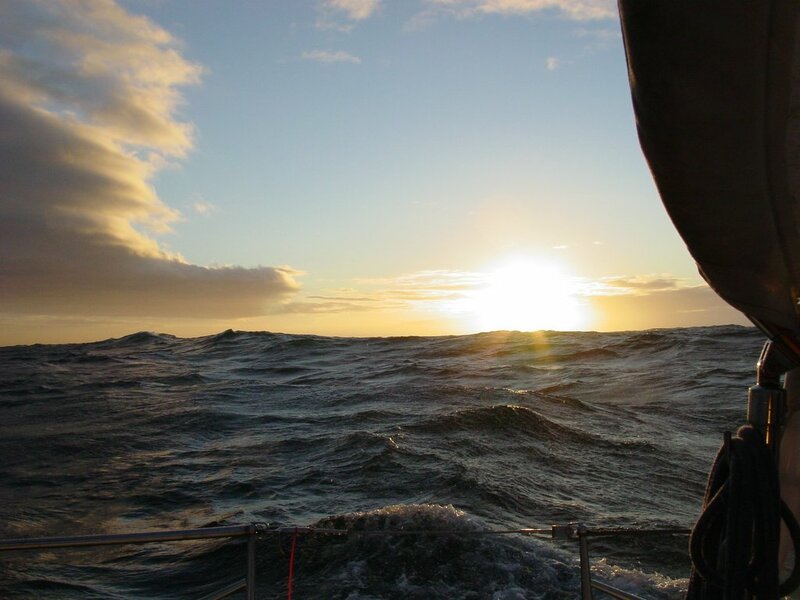 I’m feeling good, confident and quite excited to be underway for New Zealand as I will be glad to have this passage under my belt. 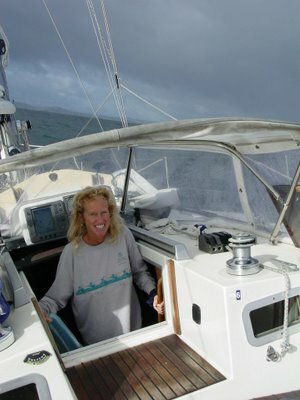 This particular passage is considered the most difficult of the “Coconut Milk Run” which generally describes all sailboats sailing west from Mexico or Panama West to New Zealand or Australia. 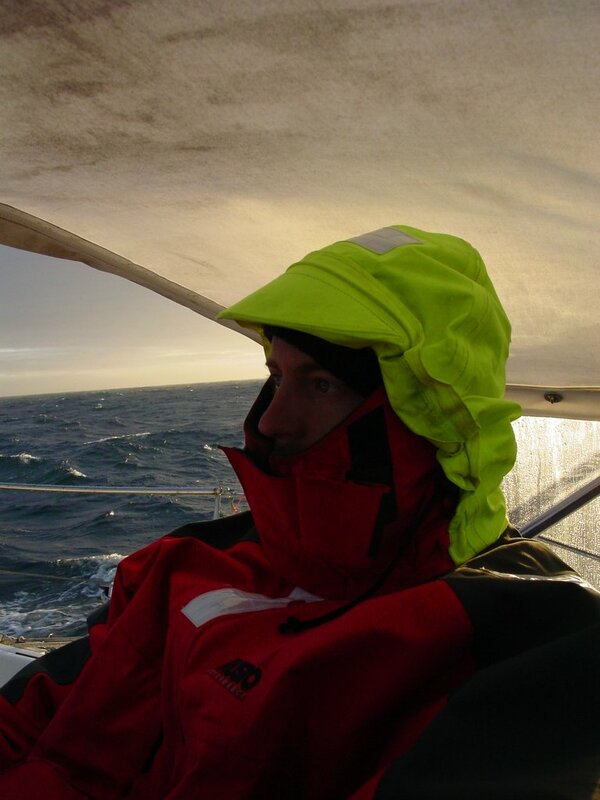 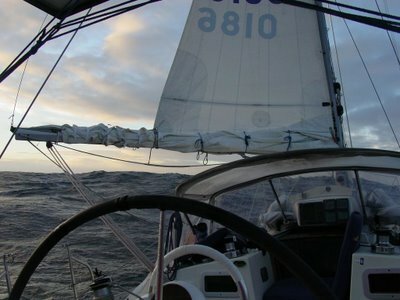 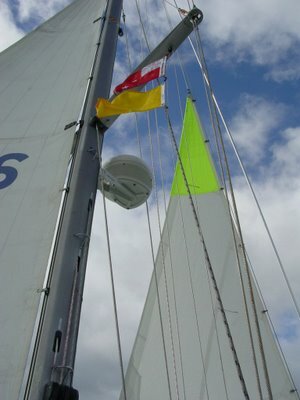 The reason it’s considered difficult is that you had it so easy thus far and you must now leave the balmy and ideal downwind sailing conditions and have to head south into colder waters, head winds, rain and associated nasty spring weather. Why head out of the tropics you might ask? The primary reason is tropical cyclones start brewing in the tropics this time of year like “Xavier” which formed a little early and spun around for a week before loosing steam. 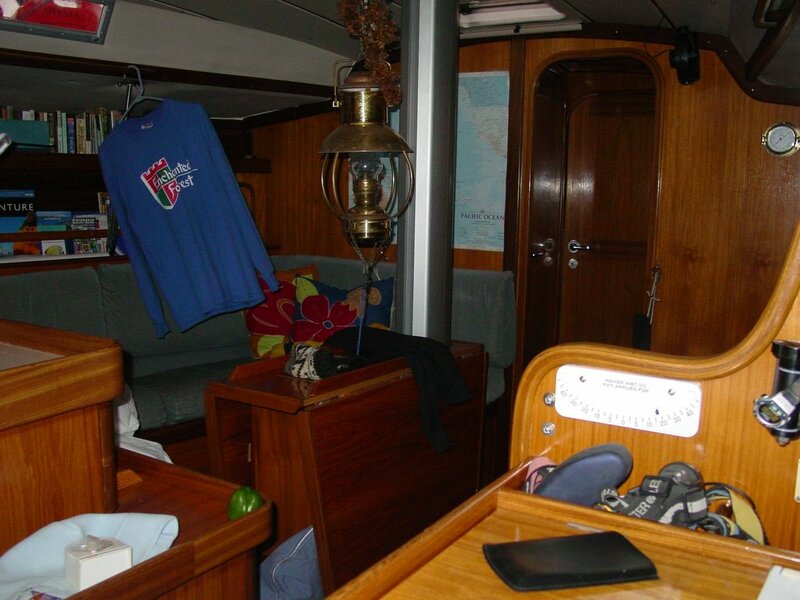 If you don’t leave the tropics you run a risk of loosing your boat. 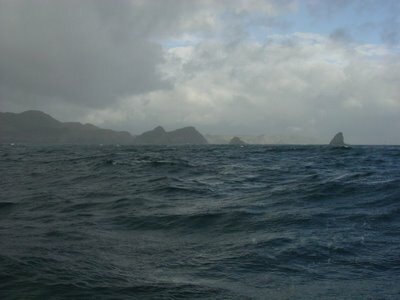 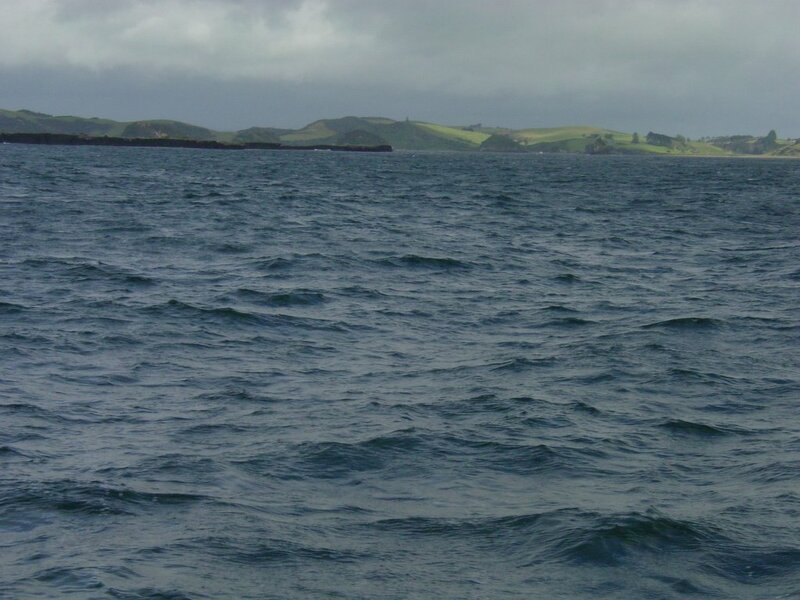 Having sailed many years in Pacific Northwest the very similar New Zealand weather will be familiar and if we can hit the weather window correctly we should avoid strong headwinds and seas and have a pleasant crossing. 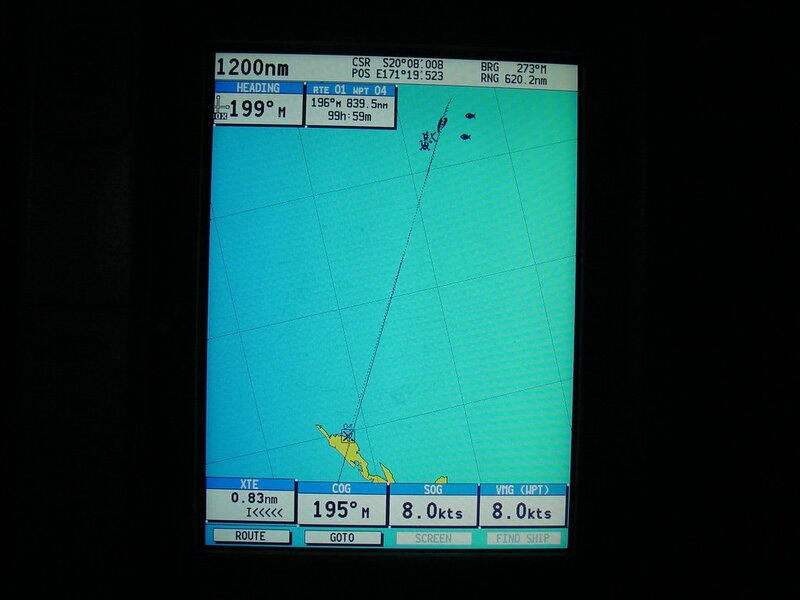 If you would like to follow our daily progress with a visual interface that plots our position on a map check out the link on my web blog or visit http://www.pangolin.co.nz/ and then follow the links to “YOTREPS Offshore Reports” then “Reporting boat list” and then look for “LaVieSEA” or “WDC6212” to see our daily reports or the Pacific passage summary. If we miss a day or two don’t fret as this site is just for fun. 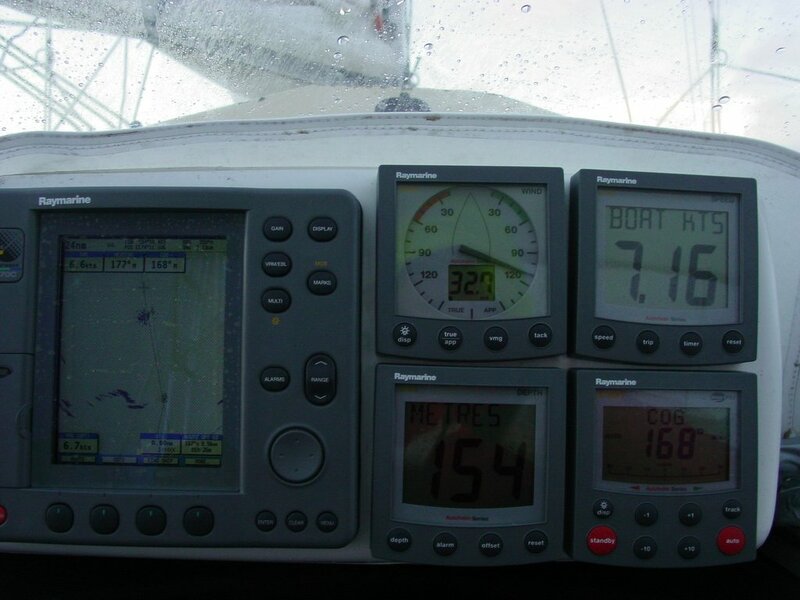 For safety sake we do daily check-ins on various SSB radio nets which keep tabs on each boat while underway.